According to their annually released report, the Judicial Board (J-Board) heard six cases alleging academic honor code violations and three cases involving alleged social code violations during the 2017-2018 academic year. The academic violations all involved some form of plagiarism or cheating. The social violations involved either physical altercations or uncooperative belligerence with Brunswick Police and Bowdoin Security. The report also details three cases of student sexual misconduct. This number does not represent the total number of cases of sexual misconduct on campus; rather, it represents the number of cases where the complainant decided to pursue either an investigation or an alternative resolution. This number is estimated to be significantly lower than the actual number of instances of sexual misconduct. Finally, the report lists three other cases which were not handled by the J-Board and that resulted in students spending time away from campus. Instead, due to “special and unusual circumstances,” these cases were handled administratively by the Dean of Students Office. These cases involve driving while intoxicated, significant property damage and unauthorized use of stolen OneCards respectively. 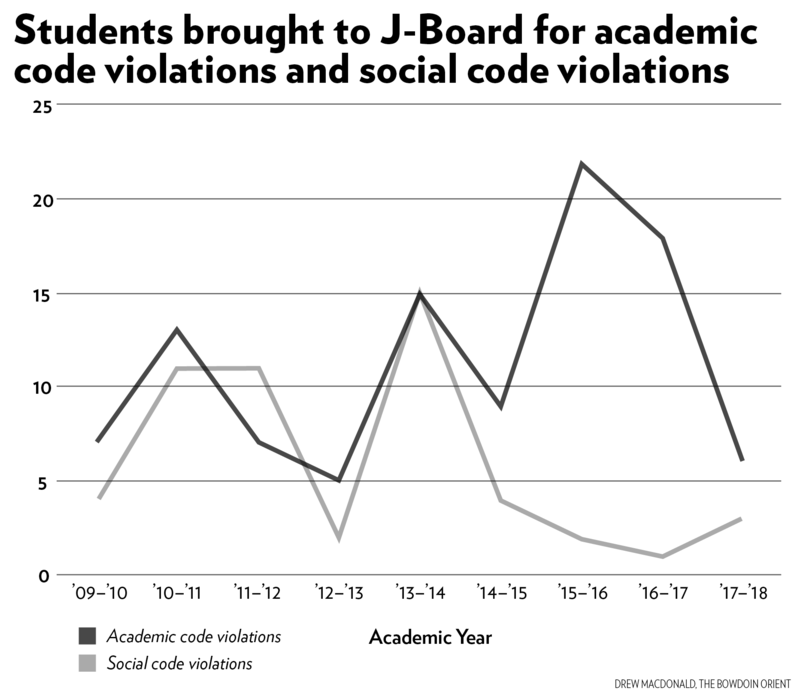 Variance in violations Academic honesty violations plunged last year, while social code violations rose slightly, according to the annual J-Board report. 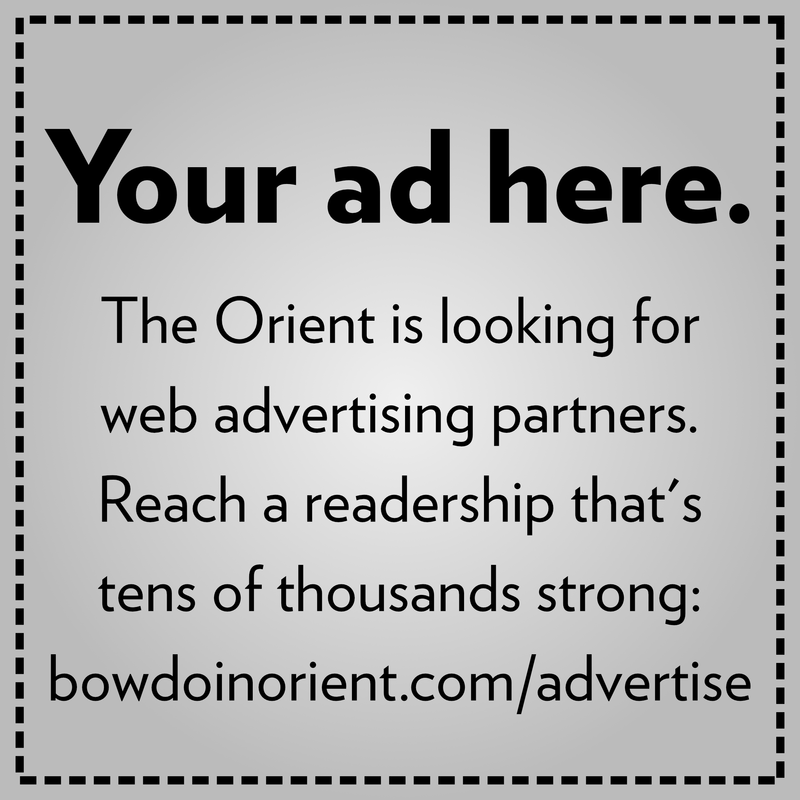 Student sexual misconduct cases are handled by a separate Student Sexual Misconduct Board, which determines the appropriate sanction following an investigation by Bowdoin’s independent investigator. When assessing violations of the Academic and Social Code, the Board uses a preponderance of the evidence standard. This standard is satisfied if there is a chance greater than 50 percent that the violation occurred. In criminal proceedings in the United States and the United Kingdom, a beyond a reasonable doubt standard is employed. In contrast to Bowdoin’s proceedings, this standard is satisfied only when there can be no plausible reason to believe that someone did not commit a crime. Among the violations that a student can be held responsible for is “conduct unbecoming of a Bowdoin Student.” J-Board Advisor Kate O’Grady explained the meaning of the provision with reference to the Student Handbook. In one case, a student was charged and found guilty of conduct unbecoming of a Bowdoin student for involvement in a physical altercation. However, the Board could not determine the extent to which the student “actually engaged in the altercation once it began,” holding only that the student’s actions precipitated the fight. 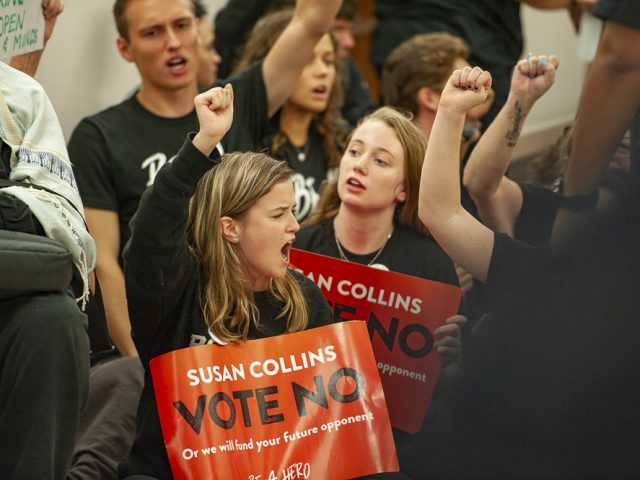 For this, the student received a sanction of social probation “to begin immediately and to continue for two additional semesters.” Students on social probation are prohibited from studying abroad, among other restrictions. In addition to the nine cases heard by the J-Board, the three administrative dispositions without a hearing and the three sexual misconduct cases, 173 students were sanctioned administratively for other disciplinary concerns that included conduct such as underage drinking and marijuana use. “We would like to take this opportunity to remind the community that violence of any kind and theft are not tolerated at Bowdoin, nor are acts of personally-directed acts of bias or blatant disrespect or the sale of drugs. These acts undermine the safety and civility of our campus community and will be regarded with the utmost seriousness in the disciplinary process,” the report reads. With respect to the three administrative sanctions that resulted in time away from the college that were not heard by the J-Board, when asked about why these cases were handled differently, Dean of Students Janet Lohmann cited the language in the report. Nonetheless, in accordance with College policy, students involved in administrative dispositions without a hearing were still offered the choice not to accept the sanctions decided by the deans. In that case, they would have had their respective cases heard by the Board.